There is not a whole lot to say about this subsystem currently as it has not been worked on since Spring 2011. While it hasn’t been actively worked on, it has been utilized during each cold flow test. Essentially this system is comprised of a flatbed trailer and a structural tower mounted on it. 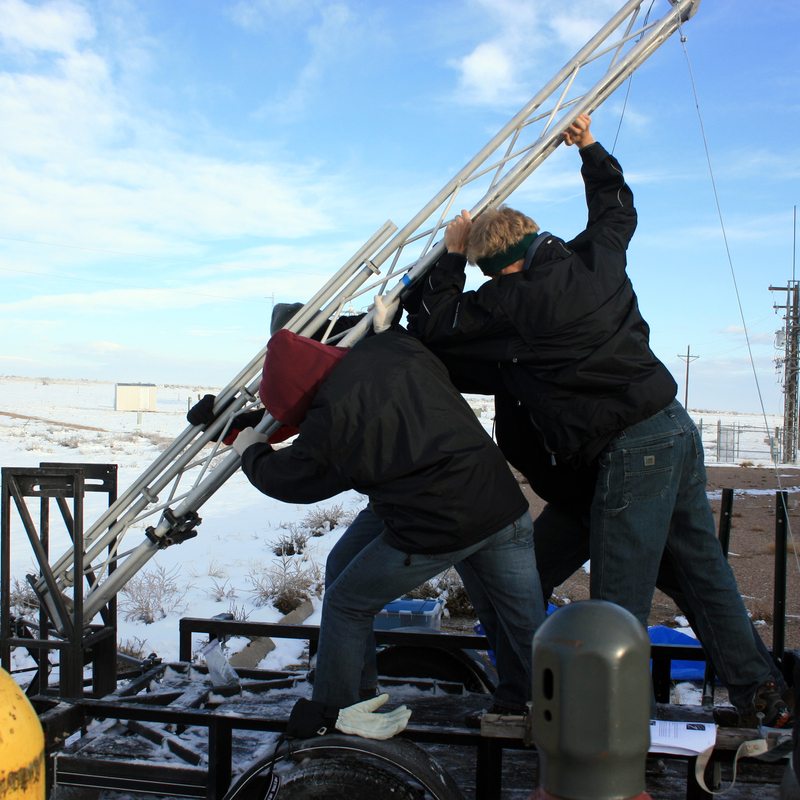 Setting up the tower which in mounted on a trailer prior to a cold flow test. Once this rocket is ready to launch, a hold-down system will have to be designed so that the rocket doesn’t take off until full thrust is achieved. While the hold-down system has been thought about, it is only in its beginning design phases with no real models or analysis done. With our main focus on STF 5 right now, the hold-down system is a back-burner item that won’t be worked on thoroughly until a successful STF is achieved.